Jane Doe (whose name is not listed here in order to protect the family) was a single mother of three (3) young children. Late one evening, she was walking home from work, towards her home, which is part of a homeowner’s association, when she was robbed and gunned down, by unknown multiple assailants, who were driving through the area. The association is not enclosed and has no security gate or guards. The family of Jane Doe hired Lipcon & Lipcon to investigate a potential Wrongful Death Claim against the Association for failing to provide security. 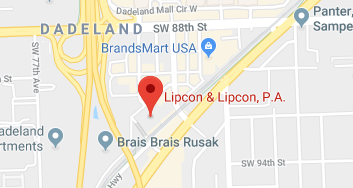 David W. Lipcon, Esq., who, for the past twenty-two years, has specialized in personal injuries and wrongful death claims, such as this, immediately opened up an investigation into the incident. It was learned, during the investigation, that the association was a virtual hot-bed for criminal activity such as burglaries, robberies, assaults, car theft, and even homicides. Further investigation showed that although the Association was charging fees to the homeowners, it was doing almost nothing with the fees collected; certainly not providing security, or doing anything to prevent crime such as hiring guards, increasing police presence, adding security lighting, etc. After learning more of the facts, Lipcon filed his lawsuit. The case was immediately settled for 3.25 Million Dollars after the lawsuit was filed. Case settled after filing suit.